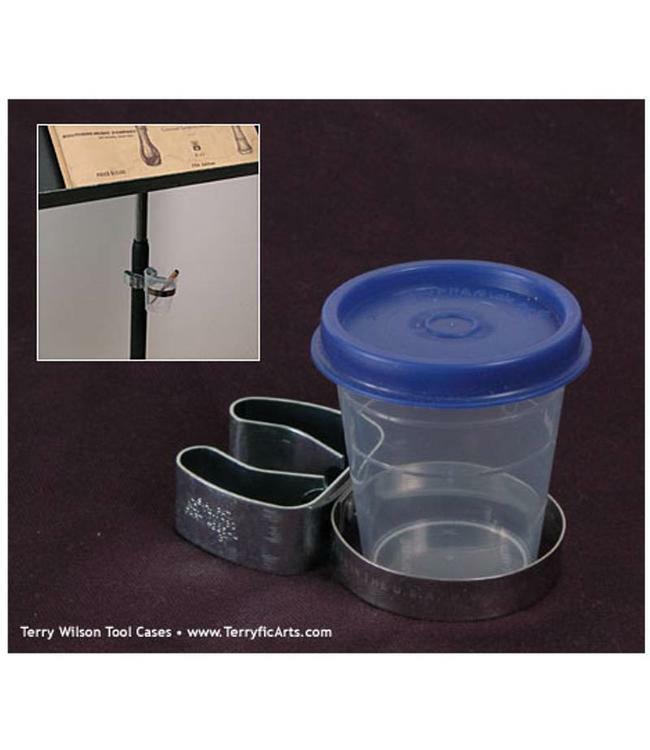 This ingenious and elegantly simple item snaps onto the music stand, out of the way but conveniently holding a plastic cup perfectly sized for double reeds. The cup has a watertight lid so you can easily carry water with you. A Terry Wilson original since 1975.